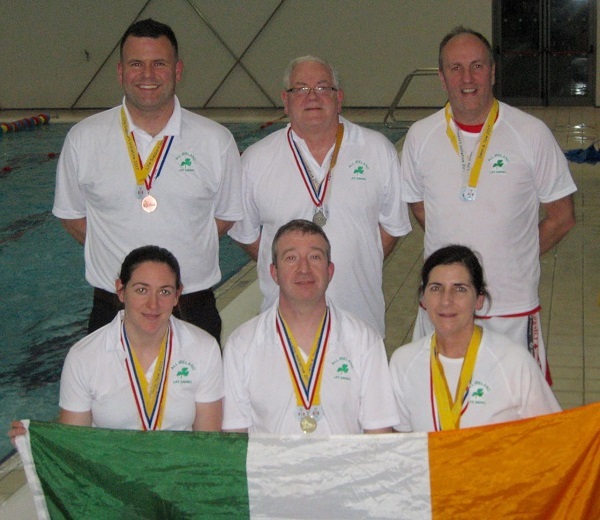 The Irish National Masters Life-Saving team took a magnificent silver medal place at the recent international Life Saving Championships held in Leeds 50-metre pool in England. The 7-strong team took home a total of 18 individual event medals, narrowly missing out on the overall top spot in the field of 16 teams. Individual winners included Laura Mulhair in the Ladies’ 30-39 age group, Patricia Kelly in the 50-59 division and David Browne in the Men’s 40-49 competition. The remaining competitors also took an array of podium finishes including Sinead Harrington, Paddy Kelly, Eamonn O’Brien and Noel Mulhair. 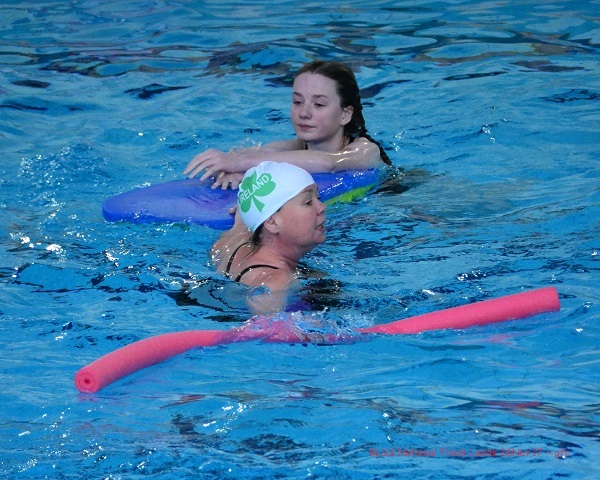 In the open international Life Saving competition held at the same venue, the Irish team narrowly lost out to a strong Wales side, with England finishing in third spot. 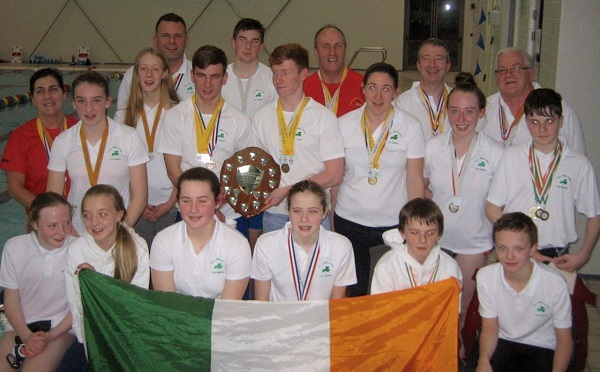 The top performance came from the Senior Boys’ pairing of Donncha Kelly and Adam Carty, with podium finishes for Junior Girls pair Aoibheann Duffy and Hannah Thompson, as well as Hannah Carty in the Ladies Individual event. The sport of life saving was developed to keep the nation’s lifeguards in peak fitness in preparation for taking up duties on beaches during the summer season. The sport is based on swimming rescues and life saving techniques. “You hear a lot these days about kids sitting at computers or hanging around the streets, but these kids swim regularly each week, learning the skills to save lives from drowning.